We are leading Dry Fodder Supplier, Dry Fodder Manufacturer, Dry Fodder Feed Exporter, Dry Fodder Feed Distributor from India dealing in complete product range of Dry Fodder Nutrition. 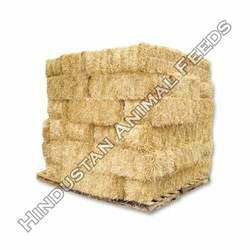 Hindustan Animal Feeds is a leading Dry Fodder Suppliers, Dry Fodder Manufacturers, Dry Fodder Exporters, Dry Fodder Distributors located in Jamnagar City of Gujarat State, India. 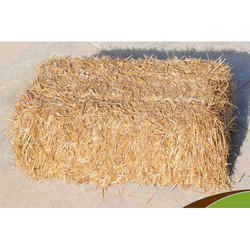 We are Cultivators, Harvestors, Exporters and Suppliers of Rhodes Grass Hay of Indian Origin. Its enormously volumetric cargo and truck loading at the Maximum is 6 to 8 Tons. The quality of the hay cannot be a promising aspect, as its accumulated from the wild pasture areas. 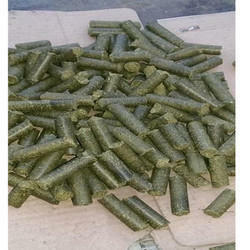 Peanut Hay Pellets are produced from Sun Cured Peanut Hay of Indian Origin. 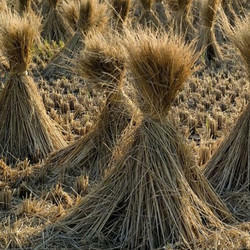 The Hay is passed through a Complex Process of Production, wherein required Steam and Cooking of the Hay is done. Removal of Toxic and Hazardous Contents is done to maximum possible extent. Being an Agro Based Derivative, the nutritional value of the Hay Pellets is highly volatile in Nature. Due to efficient Production System the Volume of the Hay is densified to a maximum possible extent. The final product is absolutely suitable for feeding Dairy and Meat Livestock and other Domestic Farm Animals. Availability: Wheat Straw is available during February, March April and May months in India. Wheat being a season crop in India, the Wheat Straw availability is for limited time period. 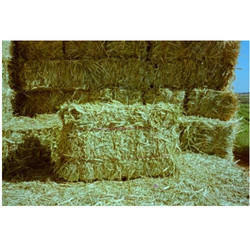 Availability: Yellow Corn Hay or Maize Hay is availble Round Year and can be supplied in desired quantities. Availability: Sorghum Hay or Jowar Hay is availble Round Year and can be supplied in desired quantities. We are amongst the renowned manufacturer, supplier, distributor, exporter and wholesaler of premium quality range of Dry Fodder. These dry fodders we are offering are highly demanded by our clientele as excellent feed for its premium quality and excellent nutrition contents for growing farm animals. Our dry fodders are carefully processed using best quality materials mixed with essential nutrients for healthy livestock. 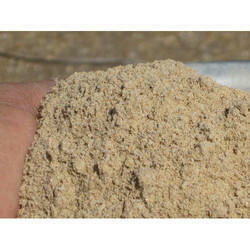 Our dry fodders are very easy to use, store and feed to the animals which they will surely enjoy. Feed Application: Dry Animal Fodder is formulated to cater the routine dry matter requirement of Dairy Livestock, Equine, Camel, Pig, Goat, Sheep, Horse, Cattle etc. Feeding Pattern: Dry Animal Fodder has to be given in ad libitum quantity and it’s recommended to be given in free choice feeding. With the assistance of our professionals, we are involved in offering our clients a wide range of Dry Fodder. 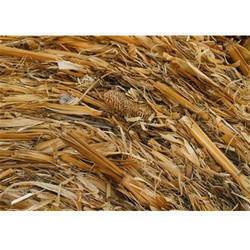 Dry Fodder also called dry roughage (Straw) is important for meeting the core requirement and appetite of the small and large domestic livestock. We offer this fodder for different animals It is owing to our scientific innovation we have been able to reduce the bulk density of agricultural straws, husks, and hulls. Our range is offered in quality packaging bags to ensure longer shelf life.